The trinidad+tobago film festival came to a close on Sunday, September 27, 2015 with an awards ceremony in Port of Spain, Trinidad. The festival, which began on September 15, featured many films from across the Caribbean and the diaspora. 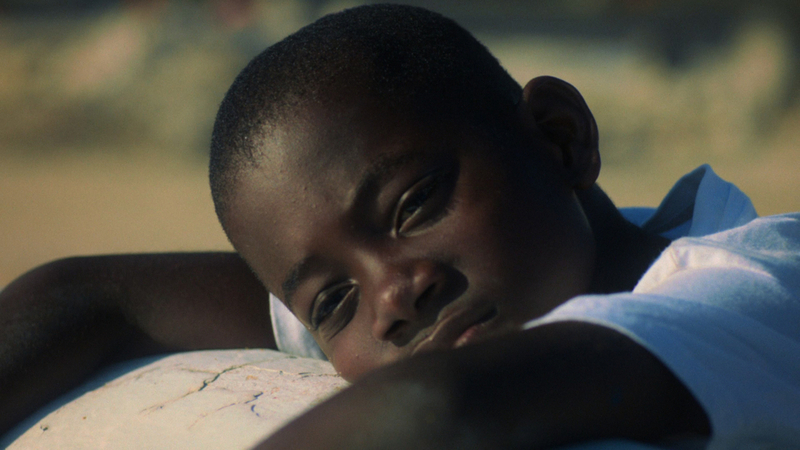 The ttff, in association with the Fundación Global Democracia y Dessarollo from the Dominican Republic, the Association for the Development of Art Cinema and Practice in Guadeloupe, the Foundation of New Latin American Cinema from Cuba, and the Festival Régional et International du Cinéma de Guadeloupe, also launched the Caribbean Film Mart (CFM) and Caribbean Film Database on September 24. The CFM is a space created for international film industry professionals to interact with the representatives from Caribbean film projects in development, with the goal of getting the films financed, produced, and distributed. While the Caribbean Film Database is a website – in Spanish, English, + French – of independent, feature-length Caribbean films from 2000 to the present. The awards were selected by three different juries – Features, Shorts, and Amnesty International Human Rights Prize. In total, the juries were comprised of nine members: filmmaker, Shonali Bose; Jaie Laplante, Director of the Miami International Film Festival; Nicole Guillement, executive producer of the Oscar-nominated documentary The Square (2013); Percy Pinedo – director of the Curaçao International Film Festival Rotterdam; Chiara Sangiorgio, a member of Amnesty International global death penalty team; Jason Nathu, attorney-at-law; head of industry at the Cartagena International Film Festival in Colombia – Blanca Granados; a programming associate at the Toronto International Film Festival, Diana Cadavid; and cofounder of the Caribbean Film Academy(CAFA), Romola Lucas. George, Penny and Nadia while on vacation on an island paradise are seduced by a stranger’s wealth and charm and soon discover that they are pawns in a deadly game. Nelsa, a 70-year-old woman paralyzed after a stroke, lives on the first floor of a large apartment house in Casa Blanca – a forgotten fishing town situated at the entrance to the Havana Harbor. She shares the lone room of the small flat with Vladimir, her 35-year-old son, affected with Down syndrome. The film presents a close, intimate picture of Vladimir and Nelsa’s days, fired by their meetings and partings, dependencies and bonds, moments of joy and moments of conflict. Off the coast of northern Trinidad, sometime in the near future, Thomas, an elderly man, struggles to hold on to his memories in his last days. Meanwhile his caregiver, Angelo, engages in an online relationship with the nefarious Dark Eyes, which proves to have costly repercussions. Doc and Zoe are delivery-kidnappers for the largest Haitian corporation specialized in kidnapping: Kidnapping Inc. Today’s schedule is to deliver a senator’s son worth $300,000 USD and pick up the ransom. In the midst of their usual bickering, Zoe foolishly misunderstands Doc and kills the senator’s son. Trying to fix this mess before the big boss finds out, they stumble upon Patrick and his nine-month pregnant wife, Laura, both on their way to catch a flight out of Haiti. Patrick’s misfortune is that he looks exactly like the dead senator’s son, which sets our amateur kidnappers on the craziest kidnapping of their lives. My Father’s Land explores the life of Dede, a humble Haitian Gardener, whom has spent the last forty years in the Bahamas, building a life for himself and his children, while living in a marginalised Haitian community nicknamed the Mud. When news arrives of his 103 year old Father taking ill back in Haiti, Dede fears he may not see him before he passes. He then sets out on an adventure, traveling back though Haiti, to his families small village on the island La Tortue, to reunite with his Father; hopefully before its too late.